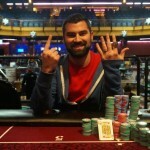 An Austrian poker player Ismael Bojang is the new winner of prestigious Italian Poker Tour Malta Main Event for € 101,940. The player has done a remarkable job and defeated 774 players in this prestigious game poker. 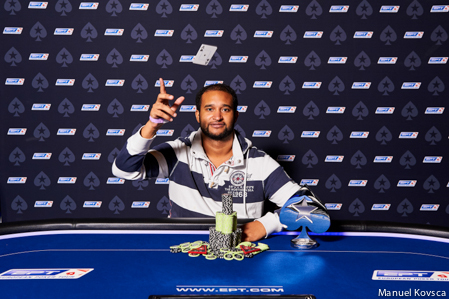 Francesco Leotta, a poker pro from Italy becomes the runner up of the event and pocketed € 75,690 from the event of season#8. The Main event of Italian Poker Tour season#8 took place from October 18-23, 2016 in Malta, for which the buy in was €1,000+€100. 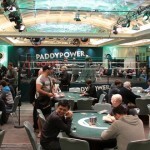 The event attracted 775 players and generated a total prize pool of amount €751,750. 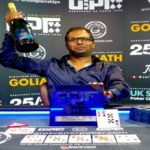 The final six players included some of the notable players of the world such as Dominik Panka, PokerStars pro from Poland, Johan Guilbert of France, Vladimir Shabalin of Russian and Alexander Lakhov another Russian player and a PokerStars qualifier. They all were eyeing to win the championship title but it was Bojang, who made no mistakes and took home the brand new trophy along with the first prize of the championship. Before this Filip Demby a polish poker pro and a PokerStars player busted to eighth position for € 12,670 and then Daniel Portiansky of Israel got bused to seventh place for € 17,070. The duo was looking good at once, but somehow couldn’t make themselves to the final six of the main event. 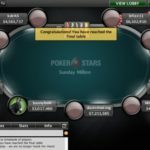 The first player who got busted from the final table of top six was a Russian Alexander Lakhov, who has done a tremendous job previously by winning Sunday Million, a Super Tuesday, a SCOOP and many other live tournaments. Lakhov completed his journey being sixth player of the list because it was Bojang who made him to do this. Lakhov made € 23,000 from the tournament. Just after three more hands Dominik Panka hit the rail to fifth place for € 30,970. The Polish PokerStars player who is the winner of 2014 PokerStars Caribbean Main Event champion got off because Bojang called from Button. French Johan Guilbert was the next man to hit the rail for € 41,720, while Russian Vladimir Shabalin moves out from the game being third player for € 56,200.